Lotus by Rustan’s features stylish and contemporary resort wear. It allows customers to be ready for the season with pieces that are perfect for summer trips. Its debut collection for Spring/Summer 2019 is crafted with light and breezy fabric. This makes for comfortable wear anywhere under the sun designed by Pia Regala-Hebron. She is also the woman behind Lady Rustan. She takes inspiration from the fabric and the colors that she chooses. According to her, “The first collection is inspired by the ocean, sun, and sky.” She brings attention to the color combinations and pattern play of the clothes. The pieces are in bright colors with accents of trims and tassels. Her goal was for these to exude tropical or warm-weather vibes. The Spring/Summer 2019 collection offers different fresh and vibrant summer must-haves. Customers can find cover-ups, dresses, sarongs, and kaftans. A selection of comfortable footwear is also available. To complete the collection, there are beach bags made of woven rope materials. 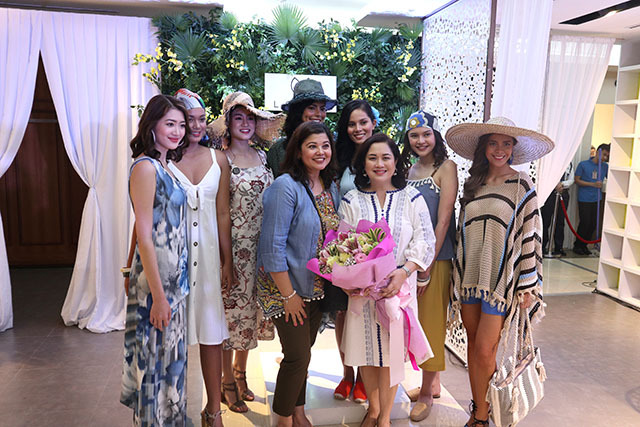 Lotus by Rustan’s debut collection was revealed at Rustan’s, Ayala Center Cebu. The launch event was filled with music, food, and counter games. There was a Make-Your-Own Tote station, a sketching station, and a photo booth. The event ended with a fashion show showcasing the entire collection. Rustan’s resort wear is available on the 2nd level of the Women’s Department in Rustan’s Ayala Center Cebu. Lotus by Rustan’s is also available in select Rustan’s stores. You can find the collection at Rustan’s Makati, Rustan’s Shangri-La, Rustan’s Alabang Town Center, and Rustan’s Gateway. For more information, you can visit their website at www.rustans.com.ph or follow them @rustansph on Facebook and Instagram.